When a mobile yard ramp in circulation sustained damage, The Yard Ramp Guy was on the case. The ramp in question, a rental, is currently in Brooklyn, and our headquarters are just outside of Chicago. That’s some 700 miles and one hour’s time zone difference. How to efficiently get that repaired? Telephone, email, knowing how to qualify the right craftsmen, and building relationships. We confirmed availability of replacement parts with the manufacturer. Through our network of turnkey service partners, we contracted a worthy welder. We confirmed with both welder and current renter a date and time. We secured the delivery of replacement parts. 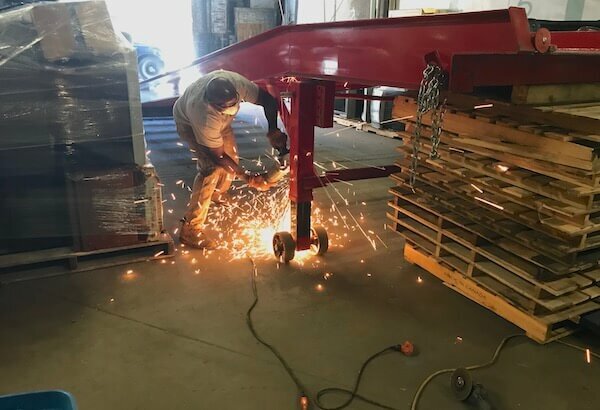 The welding team first removed the compromised leg assembly and connector brace from the ramp. 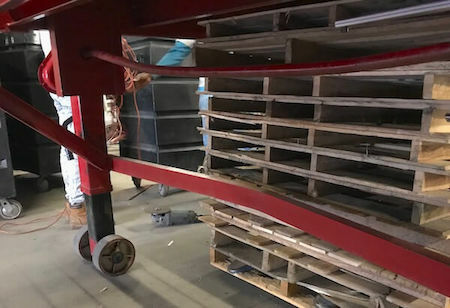 The team then spot welded the new leg assembly and new connector brace, measuring to assure equal height on both sides of the ramp. 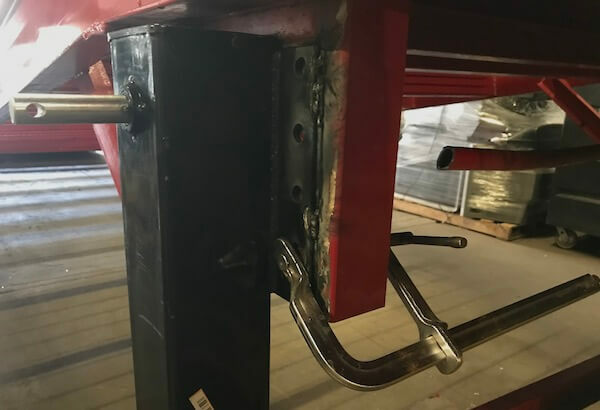 We appreciated the cautious approach of the welding team, which contacted us during the repair to confirm removal of an extra shaft on the hand crank assembly. We also kept the factory representative in California close-by via phone conversations directly with the welder. 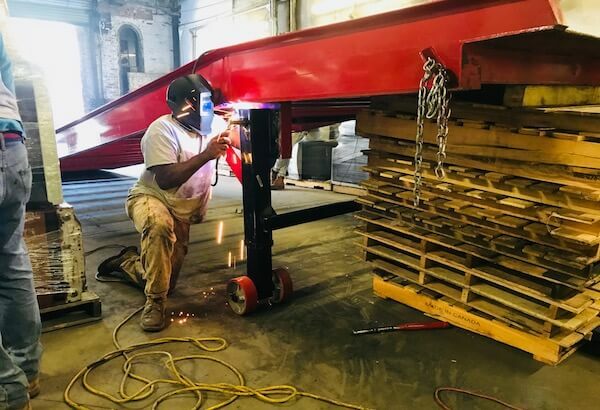 The team applied a comprehensive weld. The customer tested the integrity of the job through a repositioning of the ramp. The yard ramp has now returned to its strong, intended integrity. The new hand crank mechanism raises and lowers the leg assembly smoothly. The new connector brace is straight. 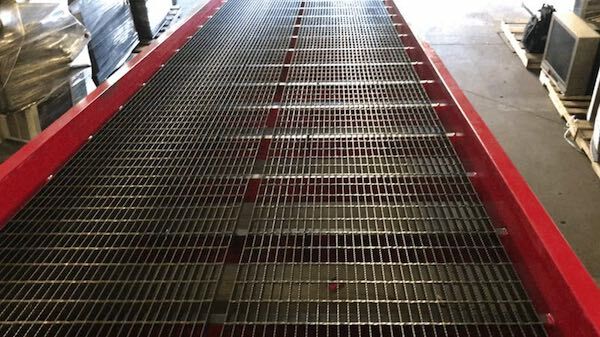 The yard ramp is again a strong, safe piece of equipment that will offer many more years of use.